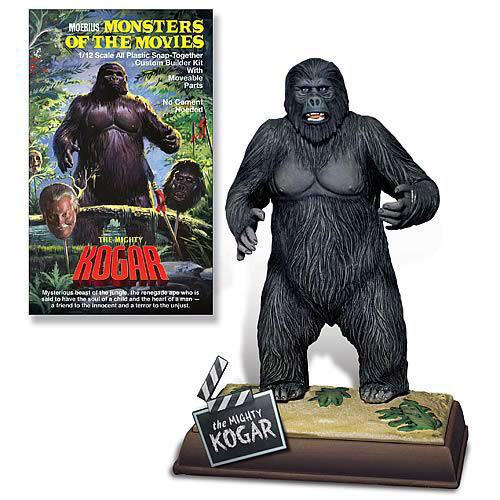 Classic movie ape Kogar, portrayed by Bob Burns, features bonus heads of Tracy the Ape from TV's Ghostbusters and Bob Burns himself. Figure sculpted by Jeff Yagher. 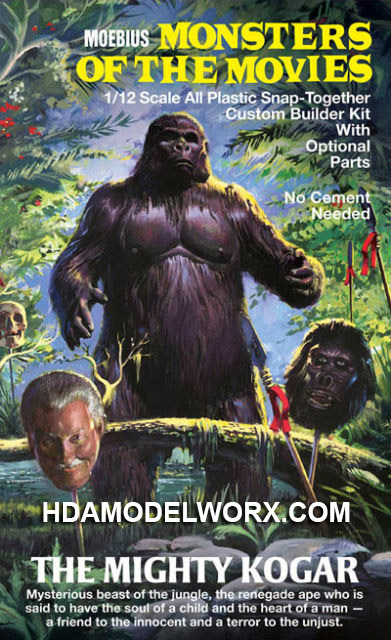 One of the Monsters of the Movies model kit series from Moebius Models. A 1:12 scale plastic model kit. No glue is needed for assembly. All plastic snap-together custom builder kit with optional parts.